Srinagar Smart City Limited, a Special Purpose Vehicle (SPV) was incorporated on September 08, 2017 under the Companies Act, 2013 and the company is limited by shares. 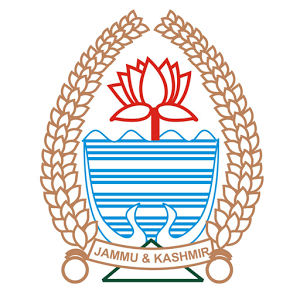 Srinagar Smart City Limited is governed by the Board of Directors with its Chairman, Administrative Secretary, Housing and Urban Development Department, J&K and in case of State Level High Powered Steering Committee (HPSC) for Smart City Srinagar. it is headed by Chief Secretary, Government of J&K. Srinagar Smart City Limited (SSCL); a Special Purpose Vehicle created under Smart City Mission envisions transforming Srinagar into an eco-friendly, resilient and socio-economically vibrant city that celebrates its natural and cultural heritage creating harmony and opportunities for all. SRINAGAR SMART CITY aspires to leverage its Natural & Cultural heritage/ tourism, through innovative and inclusive solutions, enhance the quality of life for its citizens.SRINAGAR SMART CITY aspires to leverage its Natural & Cultural heritage/ tourism, through innovative and inclusive solutions, enhance the quality of life for its citizens. There are many technological platforms involved, like automated sensor networks and data centres, etc. The concept of smart cities originated at the time when the entire world was facing one of the worst economic crises. In 2008, IBM began work on a ‘smarter cities’ concept. By the beginning of 2009, the concept had captivated the imagination of various nations across the globe. Countries like South Korea, UAE and China began to invest heavily into their research and formation. Today, a number of excellent precedents, such as those in Vienna, Aarhus, Amsterdam, Malta, the Songdo International Business District near Seoul, Verona, GIFT city etc. Promoting mixed land use in area based developments–planning for ‘unplanned areas’containing a range of compatible activities and land uses close to one another in order to make land use more efficient. The States will enable some flexibility in land use and building bye-laws to adapt to change. Housing and inclusiveness – expand housing opportunities for all. Creating walk able localities –reduce congestion, air pollution and resource depletion, boost local economy, promote interactions and ensure security. The road network is created or refurbished not only for vehicles and public transport, but also for pedestrians and cyclists, and necessary administrative services are offered within walking or cycling distance. Preserving and developing open spaces – parks, playgrounds, and recreational spaces in order to enhance the quality of life of citizens, reduce the urban heat effects in Areas and generally promote eco-balance.